1800 block of Wales Avenue, Lima — Police responded Sunday to a report of the destruction of property. 200 block of Kent Avenue, Lima— The destruction of property was investigated Sunday. 800 block of Albert Street, Lima — Police responded Sunday to a fight in progress. 2400 block of Allentown Road, Lima — A theft was reported on Sunday. 1200 block of East Market Street, Lima — Police investigated a reported assault on Sunday. 1400 block of North Cable Road, Lima — A theft incident was investigated Sunday. 500 block of Tremont Avenue, Lima — Police responded Sunday to a traffic accident that resulted in property damage. 300 block of West Vine Street, Lima — A report of the destruction of property was investigated Sunday. East Grand Avenue at North Main Street, Lima — Police investigated a traffic accident with injury on Sunday. 900 block of Delphos Avenue, Lima— A Sunday evening breaking and entering incident was investigated. Garfield Avenue at State Street, Lima — Police responded Sunday night to a traffic accident resulting in property damage. 1500 block of North Cole Street, Lima — A domestic violence incident was investigated late Sunday. 1800 block of Mound Road, Lima — Police responded late Sunday night to a domestic violence incident. 700 block of North Main Street, Lima — Police responded twice early Monday to reports of incidents of theft. 800 block of North Main Street, Lima — A theft incident was investigated Monday morning. 1100 block of Hazel Avenue, Lima — Police responded early Monday to the report of an alleged assault. 800 block of Albert Street, Lima — A report regarding the destruction of property was investigated Monday morning. 2100 block of North Dixie Highway, Lima — A victim told deputies on Sunday that he was physically assaulted. 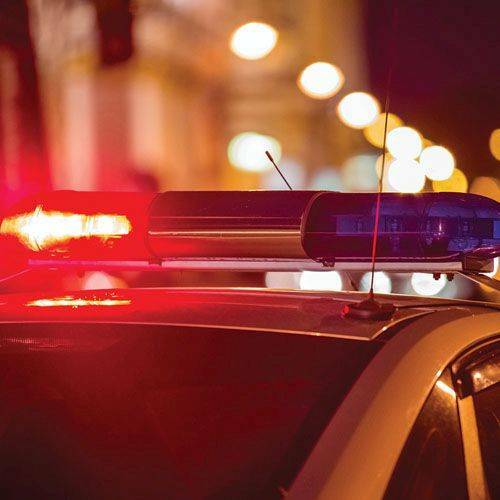 South Main Street at West Kibby Street, Lima — Counterfeit money was discovered during a vehicle search performed by deputies Sunday following a traffic stop. 3300 block of South Side Drive, Lima — A female reported to deputies on Sept. 10 that someone stole items from inside her vehicle.